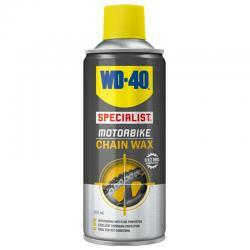 WD40 Chain Wax 100ml, recommended for use in wet conditions. Compatible with all normal motorcycle chains, as well as O, X and Z ring types. Convenient smaller tin for the tool box.